The team will meet you at our office located in downtown Cabo San Lucas. We will provide you with all of your snorkeling needs. After you have checked out your gear we will then watch a short introductory video. Following the film, we will take a 5-minute walk to the marina where you will board. Baja Shark Experience offers various options of boat sizes to suit your party’s needs, from a 25 ft. boat to a luxury 45 ft. yacht. You will be given a safety briefing onboard. Once we are at sea expect a 30-minute boat ride to one of our strategically chosen sites. 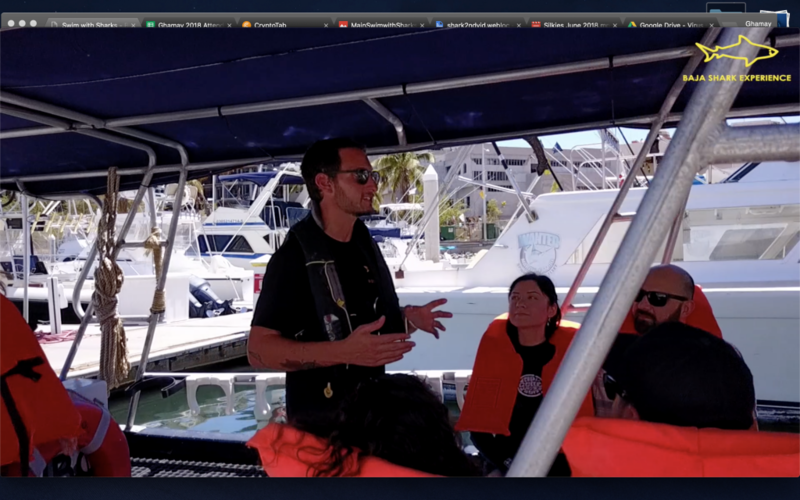 The crew will then begin chumming the area to attract the sharks to the surface. During this time we invite you to enjoy a cold beverage and ask any questions you may have about the abundant marine life surrounding the area, as our wait is determined by the wildlife. At any sudden moment, a shark can appear and the fun begins. 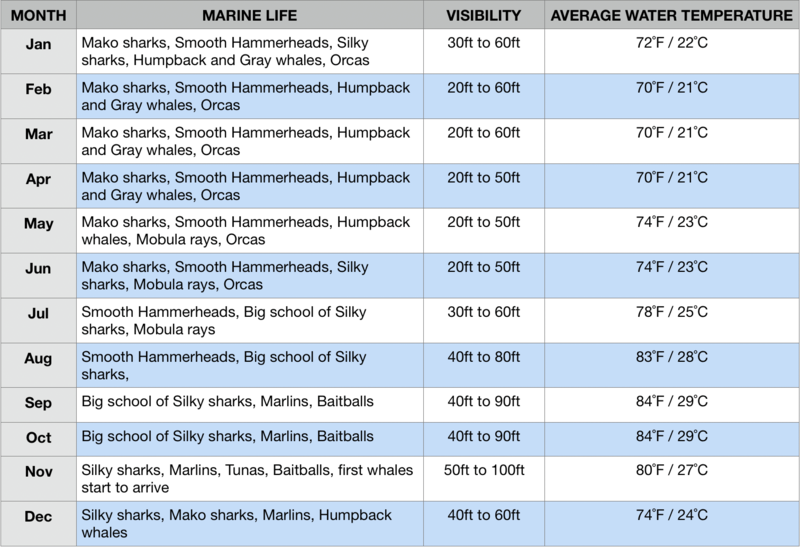 Initially, your guide will enter the water first for a behavior check with the sharks. Meanwhile, the crew will assist you with your snorkeling gear and give you further instructions. Next, the guide will signal for you to join in for safe and cageless interaction with one of the most primitive animals on earth. Be the one to put the bad reputation these incredible creatures have to rest by experiencing the synergy between a human and these misunderstood animals. 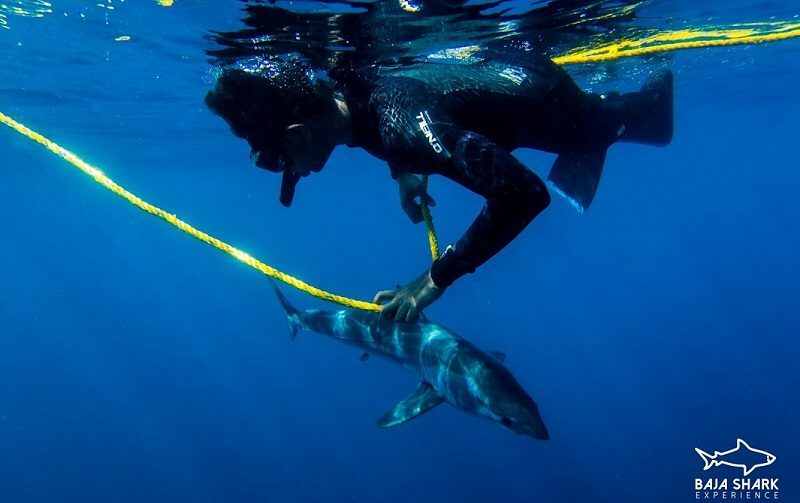 Baja Shark Experience provides a new perspective on shark encounters, coexistence, and emotions you will never forget. It’s addictive! The shortfin mako shark (Isurus oxyrinchus), also known as the blue pointer or bonito shark, is a large mackerel shark. 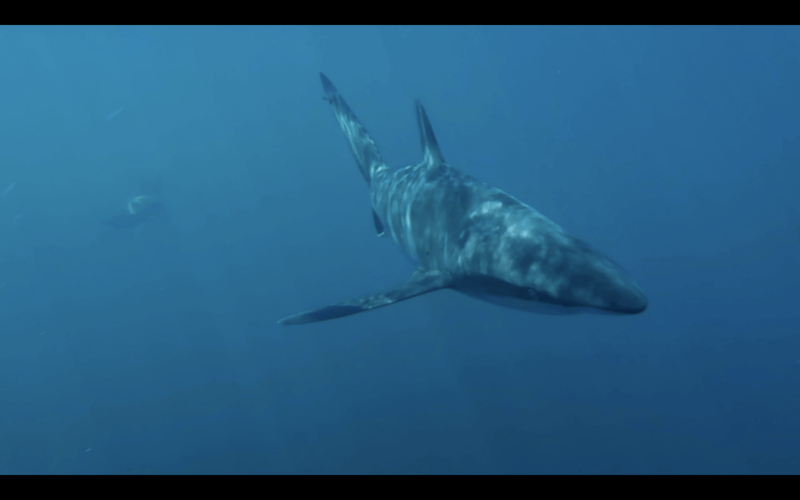 It is commonly referred to as the mako shark, as is the longfin mako shark (Isurus paucus). The shortfin mako is on record as the fastest-swimming shark, capable of bursts of speed up to 18.8 meters per second (68 km/h; 42 mph). The smooth hammerhead (Sphyrna zygaena) is a species of hammerhead shark, and part of the family Sphyrnidae. This species is named "smooth hammerhead" because of the distinctive shape of the head, which is flattened and laterally extended into a hammer shape (called the "cephalofoil"), without an indentation in the middle of the front margin (hence "smooth"). The blue shark (Prionace glauca) is a species of requiem shark, in the family Carcharhinidae, that inhabits deep waters in the world's temperate and tropical oceans. Preferring cooler waters, blue sharks migrate long distances, such as from New England to South America. 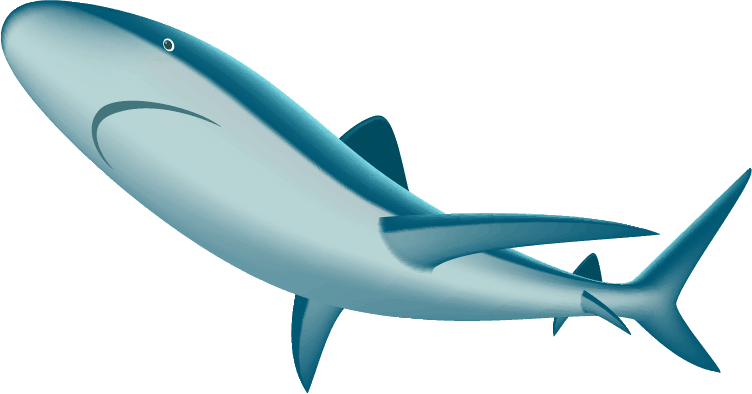 The silky shark (Carcharhinus falciformis), also known by numerous names such as blackspot shark, grey whaler shark, olive shark, ridgeback shark, sickle shark, sickle-shaped shark and sickle silk shark, is a species of requiem shark, in the family Carcharhinidae, named for the smooth texture of its skin.